Located in the Gulf of Guinea, the Democratic Republic of Sao Tome and Principe was completely uninhabited until the arrival of the Portuguese in the late 15th century. 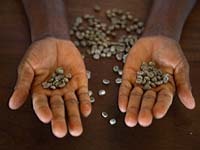 The sugar-based economy of the islands gave way to coffee and cocoa production in the 19th century - of which all was grown with slave labor that lingered into the 20th century. In the early 1900s, controversy arose over unsatisfactory working conditions and forced labor of the Angolan contract workers. An outbreak of riots in 1953 resulted in several hundred African laborers killed (known as the Batepá Massacre). As other nations in Africa were demanding independence, a group of Sao Tomeans formed the Movement for the Liberation of Sao Tome and Principe (MLSTP) in the late 1950's. After a lengthy process, independence from Portugal was finally achieved in July 1975 with MLSTP Secretary General Manuel Pinto da Costa selected as President. In 1990, Sao Tome made changes to the constitution and embraced democratic reform. At the 1991 elections, former Prime Minister Miguel Trovoada, was elected president. He was re-elected in 1996. 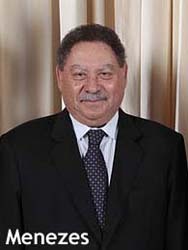 Leadership changed in the elections of 2001, and Fradique de Menezes assumed the role of president. In July of 2003, the army seized the government for one week until an accord was achieved, and Menezes returned to office. Menezes won an additional five-year term in the 2006 elections. In 2009, an attempted coup d'état to overthrow Menezes failed. Manuel Pinto da Costa was elected president in 2011, focusing on a campaign of political stability and promising to end the widespread corruption. Skeptics, however, are concerned the victory will result in a restoration of authoritarian rule from his previous time in office. Until the recent discovery of oil in the Gulf of Guinea, which has had a significant impact on the country's economy, its primary source of revenues came from its agriculture with the main crop of cocoa representing 95% of its exports. Where is Sao Tome and Principe? What is the Capital of Sao Tome and Principe? 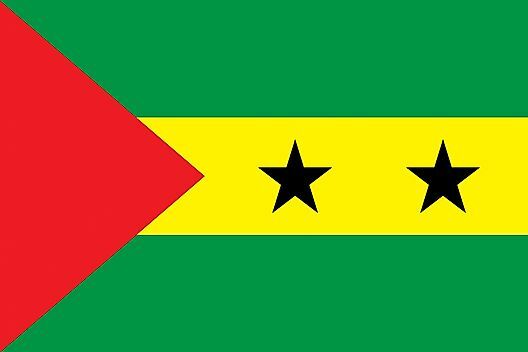 What Is The Capital Of São Tomé and Príncipe?